BIG SALE!! 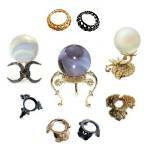 GEMSTONE CARVINGS COLLECTION BIG SALE!! 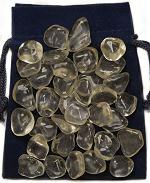 Hand carved and polished clear Crystal Quartz Worry Stones also called Fidget or Thumb Stones are great stress relievers for restless hands. Quartz is known as a healing crystal that intensifies the life force or Chi energy, which clears negativity and past wounds thereby refreshing the mind, emotions and physical body. Hand carved and polished Extra Clear Madagascar Crystal Quartz Worry Stones or Thumb Stones. Quartz is known as a healing crystal that magnifies the life force or Chi energy, which clears negativity and past wounds and refreshes the mind, emotions and physical body. 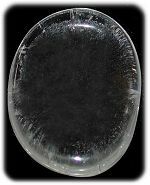 Thumb stones are an excellent meditation tool for intuitive understanding of the crystal healing properties of the stone. 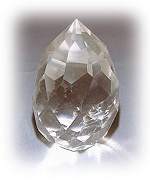 Exceptional carved facet pineapple cut in 95%+ flawless Clear Quartz Crystal with excellent polish and finish. Quartz magnifies personal life force or Chi at the core of being and enhances the energy flow, nourishing the mind, emotions, and physical body. Each comes with it's own velvet pouch. Quartz 5 Sacred Geometry Set includes a solid wood box with legend and a compartment for each of the 5 geometric Quartz shapes. Geometric shapes integrated with sacred stones have been used as meditational guides to unify the spirit with the form or materiality of life. 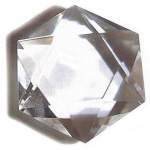 The 5 carved Quartz crystals included are tetrahedron, dodecahedron, octahedron, hexahedron, and icosahedron. These Quartz pyramids have excellent clarity with some fine veils and rainbow inclusions with a nice polished finish. Quartz is known as a healing crystal that intensifies the life force or Chi energy, which clears negativity and past wounds thereby refreshing the mind, emotions, and physical body. Beautifully polished Quartz pyramids. Cut and polished Brecciated Jasper slabs or slices are perfect to display or carry as a pocket totem. 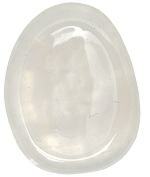 Jasper is an opaque form of Chalcedony and has been a Biblical stone for kings and shamans. 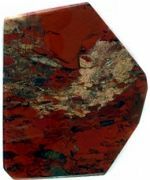 Brecciated Jasper has dramatic black, creams and deep reddish browns swirl around these highly polish slabs. 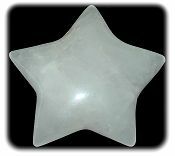 Exceptional carved facet ball cut in 95%+ flawless Clear Quartz Crystal with excellent polish and finish. Quartz is known as a healing crystal that intensifies the life force or Chi energy, which clears negativity and past wounds thereby refreshing the mind, emotions, and physical body. Each comes with it's own velvet pouch.